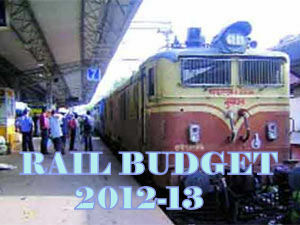 New MEMU Trains in Rail Budget 2012-13: Rail Budget 2012-13 presented Today (14th March 2012) by Union Railway Minister Mr Dinesh Trivedi is moderate budgets with some new trains, facilities and small hike in rail fare. 3. Bina-Bhopal MEMU service in lieu of conventional services. All passenger services in electrified sections should be replaced by MEMU rakes.